Much more than just a pencil holder. A valuable object to enrich your desk. 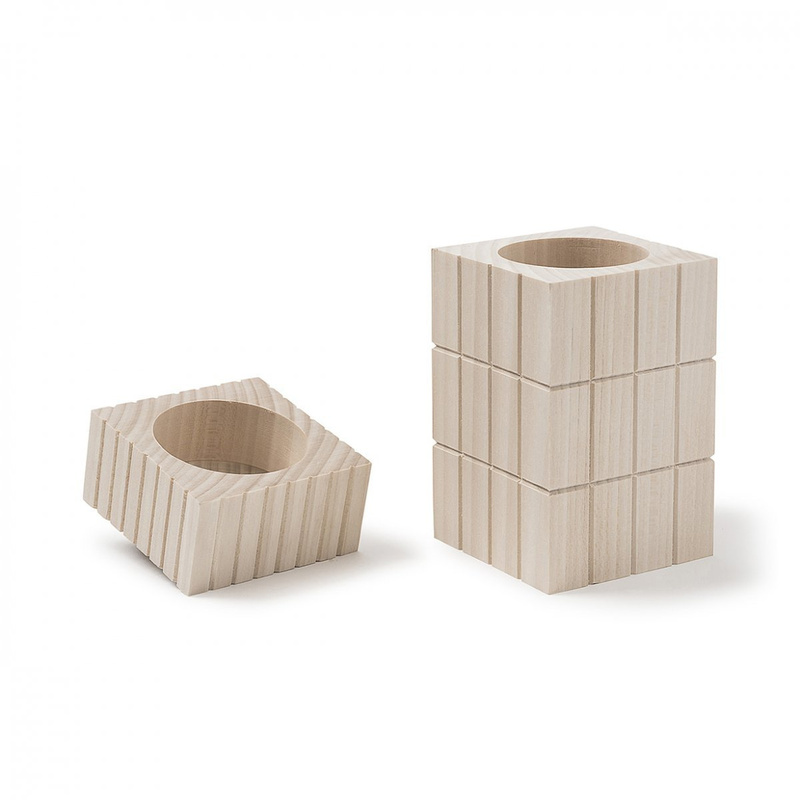 The Volume 3 pencil holder by Cinqpoints is a refined and at the same time practical item. 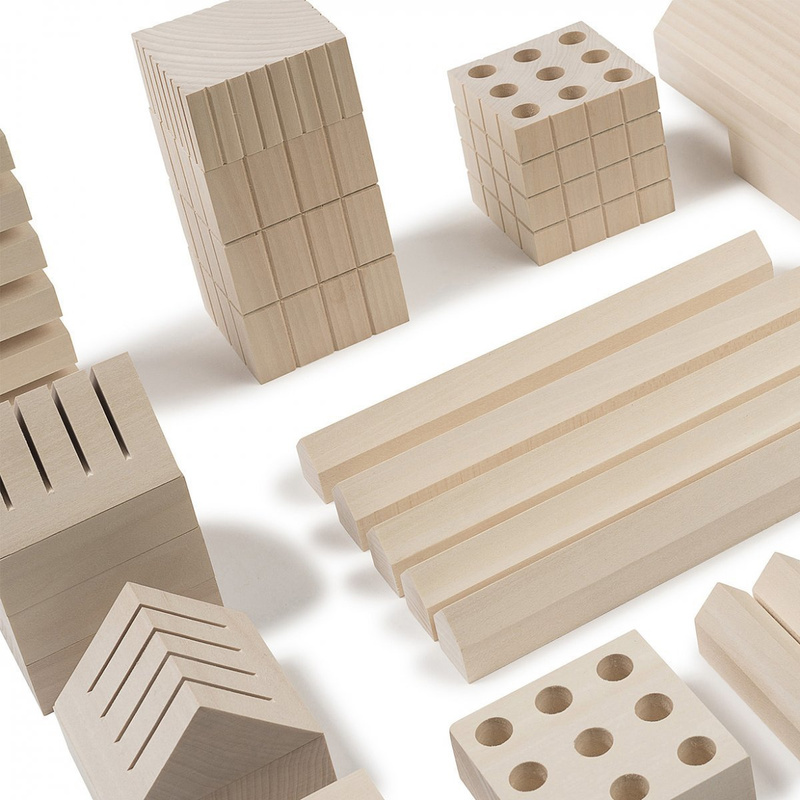 It combines concreteness and particularity and can be used in several different contexts. Cinqpoints proposes it as a way to organize your desk. It is part of a line of natural wood products for the office or the home. It is clearly intended for beauty lovers who are keen to keep their desk in order, not leaving nothing to chance. Where every object has its right place. Used alone or with other desk accessories, the pencil holder Volume 3 gives an additional value to your work from the point of view of aesthetic. It can be used either as a simple pencil holder or, once opened, as a double container. 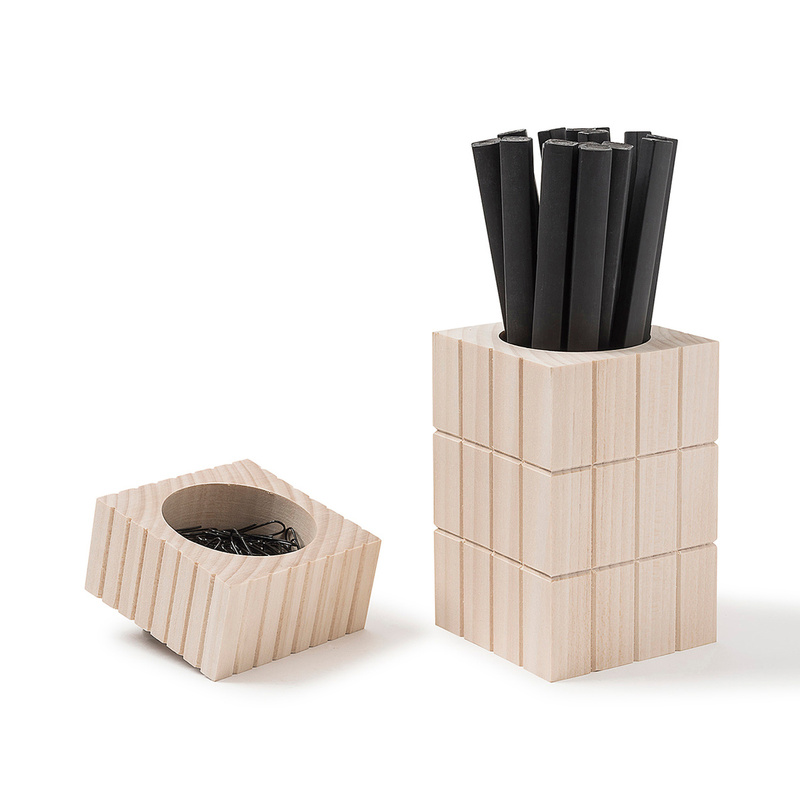 A versatile and comprehensive pencil holder, with an intuitive and appealing shape. The grooves make the geometric shape important, giving meaning and taste through the use of natural wood. And it is the wood that makes the difference because together with a collectible pencil, it would be able to further highlight it. With a common pencil, instead, it amplifies the meaning of your desk, turning a series of bulky items into objects of design thought to give importance to an attentive organization of any object. On the one hand, the most important one, it gives space to pencils, pens, markers or highlighters. On the other hand, by maintaining the same design and by giving a solution of aesthetic continuity, you can place in it paper clips, paperweight, rubbers and whatever may be useful at work. 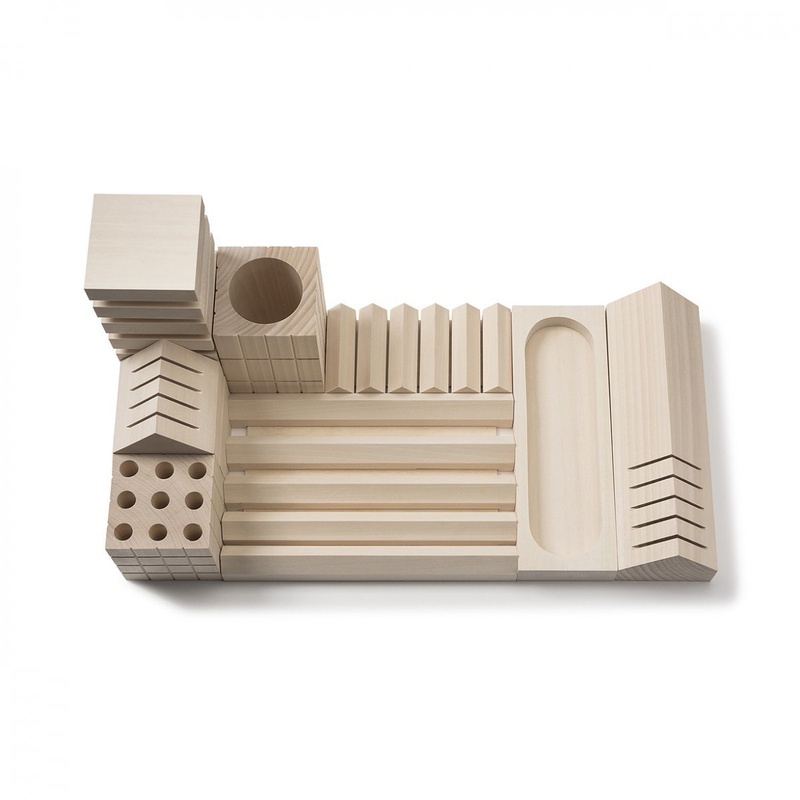 All these objects turn into decorative elements thanks to this pencil holder. 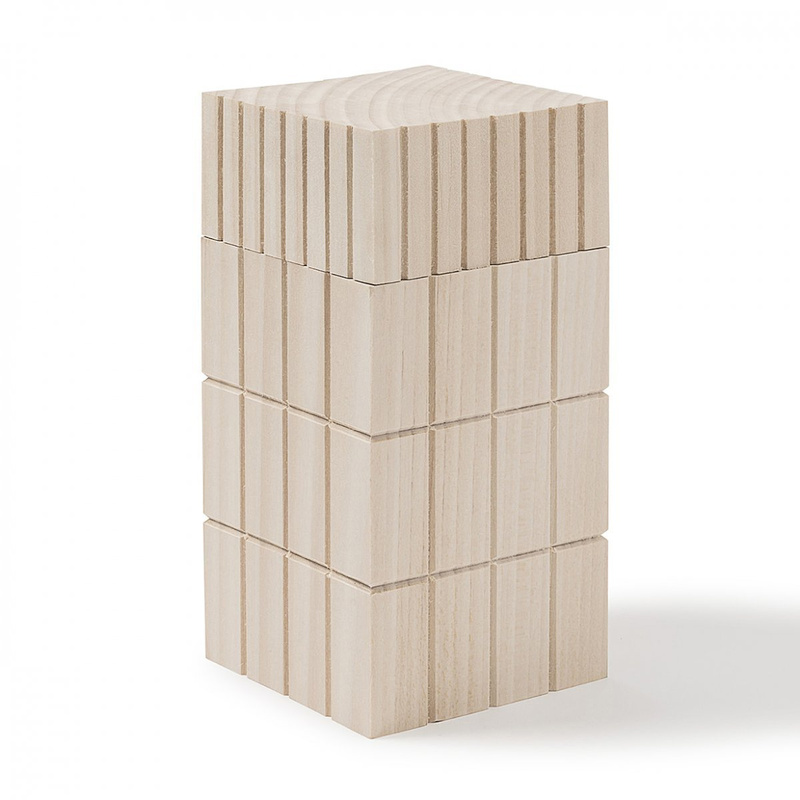 A desk, with this Volume 3 pencil holder by Cinqpoints, gains practical and aesthetical meaning.